These desk tags can be used as an alternative to name tags that are put on desks. It is helpful, especially when a teacher has more than one period, and more than one student sit in a desk. 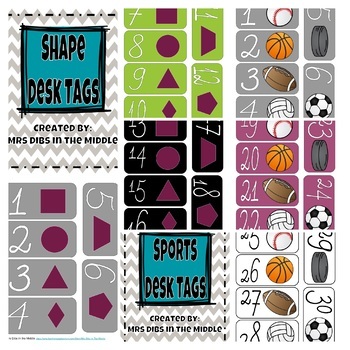 Shape desk tags and sports desk tags are included. 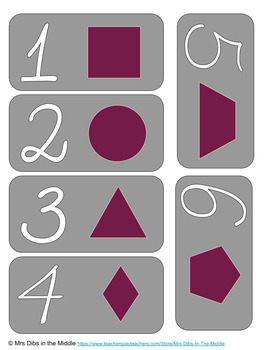 Desk tags allow teachers to easily group students. 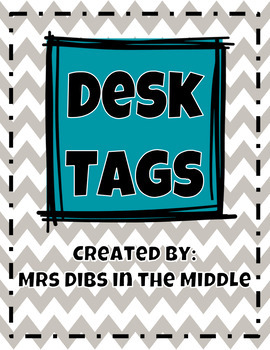 Examples: "Blue desk tags are a group," "Odd desk tags vs. even desk tags," or "Basketballs are a group."